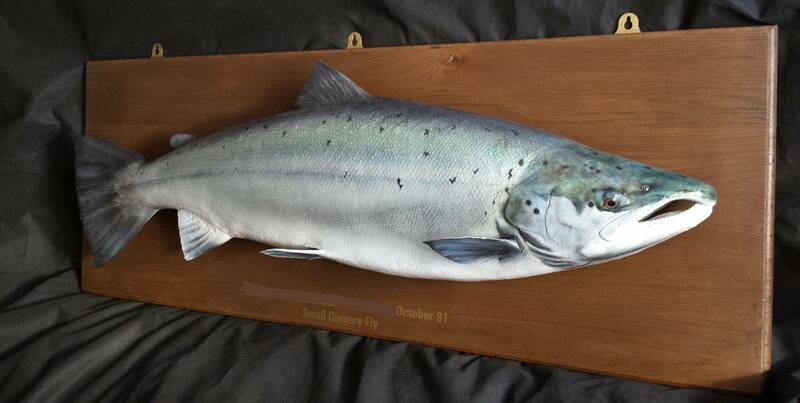 Fish replicas are the perfect gift for anyone with a love for fishing, or indeed art ! most can be displayed as free standing ornaments almost any where in the home .What better gift than a one off commissioned piece that will last a lifetime. I can replicate a particular fish to match your photograph, from Salmon to trout to koi carp. I sometimes have finished works ready for immediate sale, please telephone for details or you can order a specific species. I can also supply "Gift vouchers", the ideal Christmas or birthday gift for the person that has everything ! I can supply vouchers that cover the total cost of the work or even just the deposit, then the remainder can be payed once the work is completed. Call John for details now !